Recently inside of Google Maps, users were able to hail an Uber car while looking to see how long a trip may take. 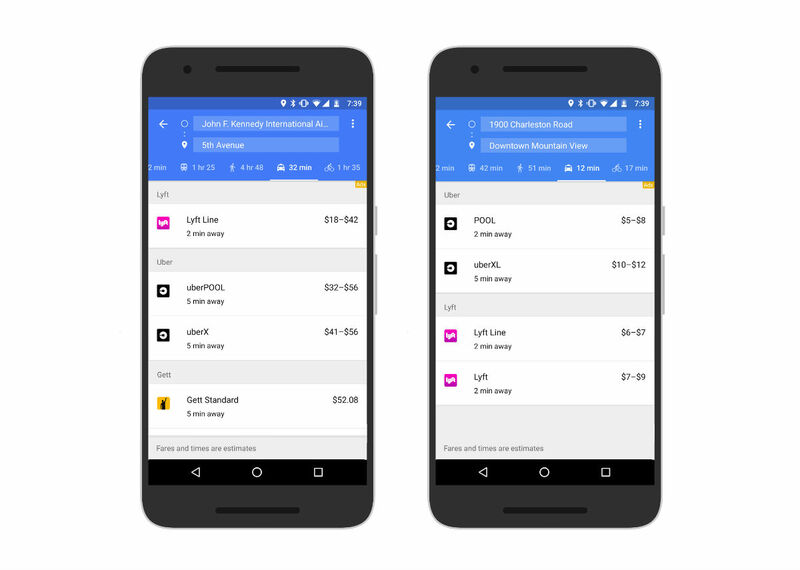 Now, Google is also adding in support for Lyft throughout the US, as well as Gett in New York City. The way to access this feature remains unchanged. For example, once a destination is entered, you can review how long a trip will be depending on which mode of transportation you take. Under the Taxi section, you will now see Lyft options alongside Uber, as well as price and arrival estimations for both services. After looking at my own Google Maps app, the Lyft option has appeared. As for Gett, that’s exclusive to NYC for now, so I cannot confirm if it is has gone live. Anyone in NYC want to confirm for me? While you’re at it, want to explain what Gett is?